Misjudging a bear while hunting is something that I worry about and I know that many other hunters who don’t have a lot of bear hunting experience feel the same way. Unless a bear is very big or very small, they can be tough to judge on the hoof (or paw). For reasons like this, there are items you can use such as a downed tree pole to eliminate bear ground shrinkage. Figuring out how big a bear is while on the stand can be tough if you don’t have a lot of experience with it. Adding some sort of structure around your bait pile though, is a great way to help you judge the size. Most people use a barrel or stake in the ground to see how tall a bear is, but another way to do it is with a downed pole that the bear must walk under. Adding the downed pole is a pretty easy solution to helping you judge bear size. Try to find a limbless dead branch or narrow tree that is pretty straight. Then, tie or hinge the pole across the trail that the bears use at 36 inches high. An old rule is that if a bear stands 36 inches high at the shoulders, it will have a 6 foot square hide. 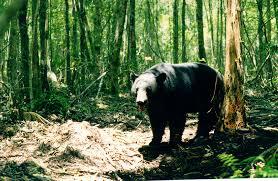 This is a good judge on black bear size. If the bear can walk under the pole and it’s back doesn’t touch the pole, then it’s a small bear. If it really has to duck, then it’s a big bear and you need to get ready to shoot. I’m pretty worried about judging a bear for the first time and this seems like a good strategy to help out hunters like me who don’t want to shoot a baby their first night out. 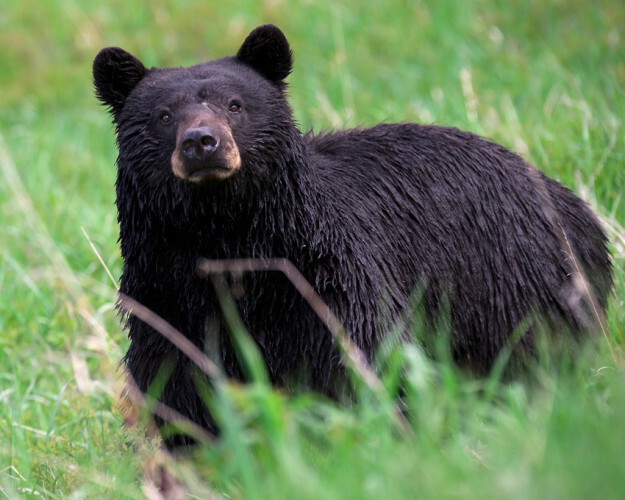 Let us know if you have any tips to help eliminate ground shrinkage on bears. See more hunting tips and tricks.